Thanks for info, Eutropius! I wonder who was that certain Countess Paula von Lehndorff? 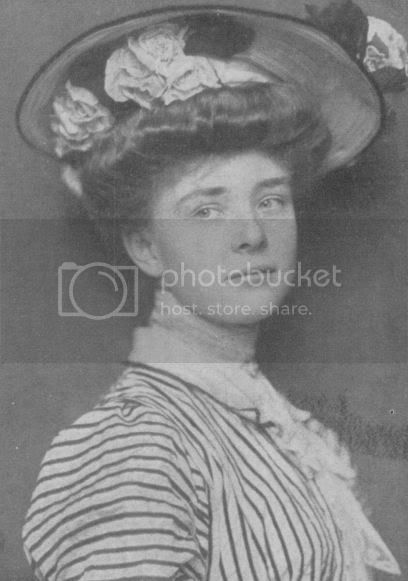 A daughter of Prince Albrecht of Prussia and unfortunate Princess Marianne of Netherlands. 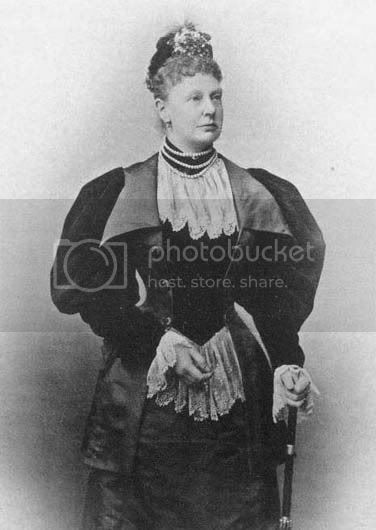 Princess Alexandrine of Prussia ( 1 February 1842 - 26 March 1906), married in 1865 to Wilhelm Duke of Mecklenburg-Schwerin,2nd son of Grand Duke Paul Friedrich of Mecklenbourg-Schwerin. 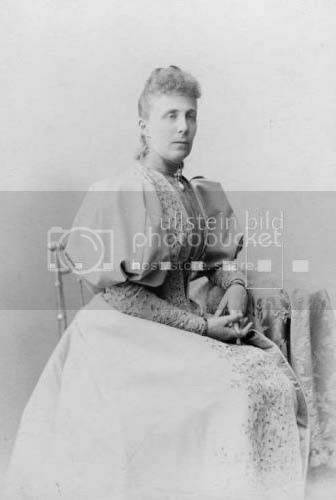 They had one daughter Charlotte (1868-1942), who married firstly Heinrich XVIII Prince Reuss zu Köstritz and secondly Robert Schmidt. Some more pictures of the Albrecht family. 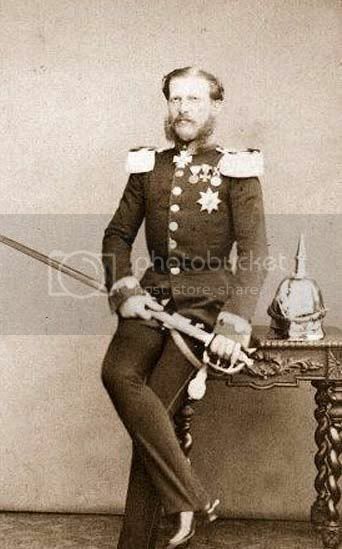 The "ancestor", Prince Albrecht (1809-72), they said of the same immoral reputation as his brother Prince Karl. 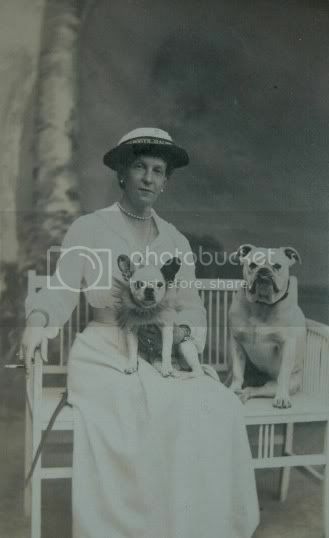 I wonder who was that certain Countess Paula von Lehndorff? 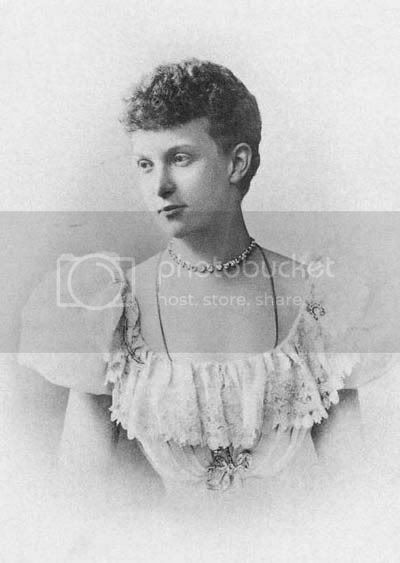 Interesting fact that this unremarkable Princess and Duchess tried to derail engagement of GD Vladimir Romanov and his future wife Duchess Marie of Mecklenbourg-Schwerin,niece of Alexandrine's husband. 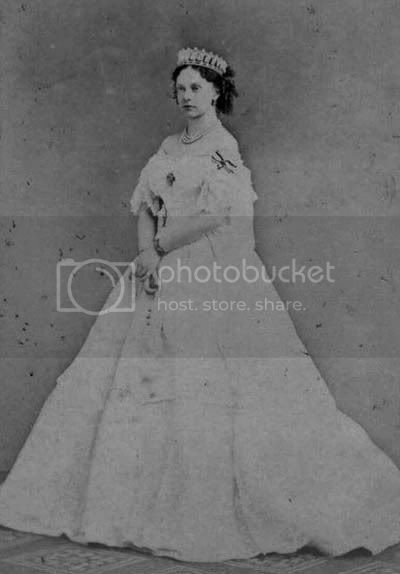 "Adi" - her nickname in the family- when Vladimir meet Marie aka Miechen first time in Berlin in 1872 was very glad about their feelings to each other, but when Vladimir returned home,talked seriously to his parents about Duchess Marie and had their consent, a telegram arrived from Adi. She begged Vladimir to give up his plans of marrying Marie as her niece loved another man and couldn't be GD's wife...Poor heart-broken Vladimir rushed to Alexander II, who sent a message to Marie's father that their children's alliance was out of question. After some time all the party learned by surprise that Adi sent that telegram by her own accord and the Mecklenbourg clan didn't know anything about that! Marie of course didn't know either and refusal of the Romanovs was a blow for her. After that Emperor Wilhelm I gave Adi a piece of his mind (mildly speaking!) and the misunderstanding was over. Anyway only in 1874 Vladimir could engage his beloved Marie. 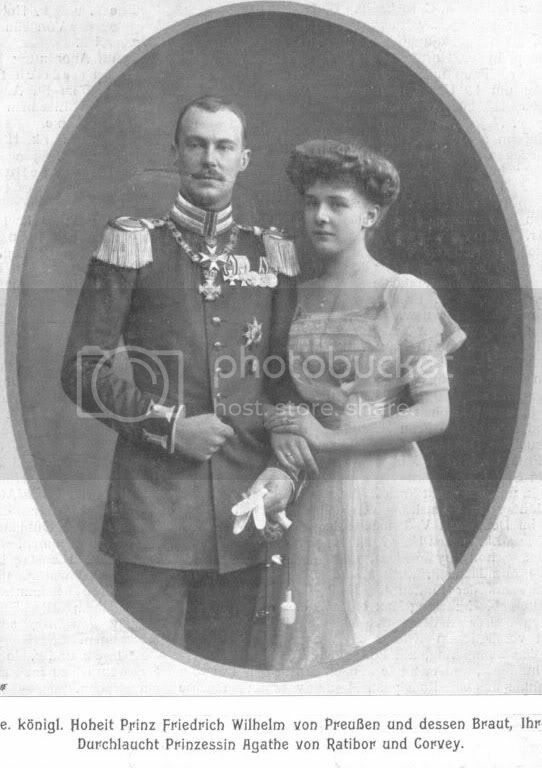 Obviously Adi had her own reasons to push her nose into the Romanovs affairs, they said she wanted marry Marie to some relative - Reuss (Marie's mother was a Reuss) or Rudolstadt (relative of Marie's stepmother) but Adi itself didn't explain her behavior and played it cool. 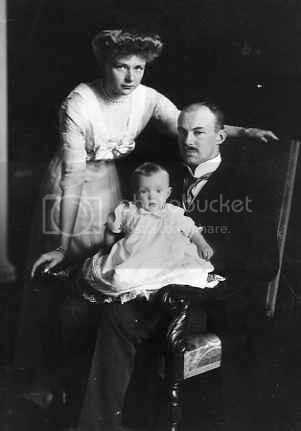 "Adi's" aunt was Queen Anna Pavlovna,spouse of Princess Mariannes brother king Willem II. of her siblings and whatever they married while Anna loathed her for this too. an act against the family of the pain Anna was to family members of the dutch RF here. as her mothers daughter she wasn't impressed by any of it. 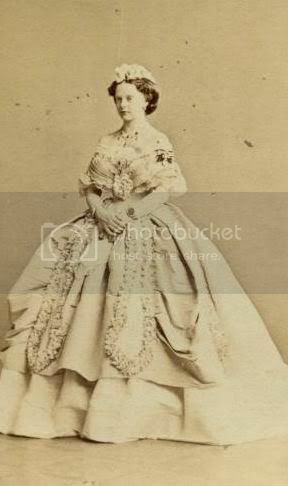 Princess Agathe, she was quite pretty. 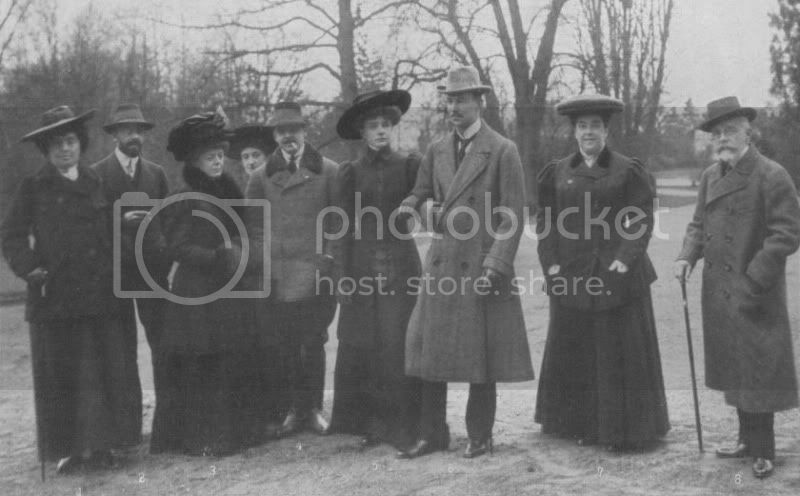 Here's the engagement of her and Prince Friedrich Wilhelm. Other people are the Ratibor family, Agathe's parents and relatives. 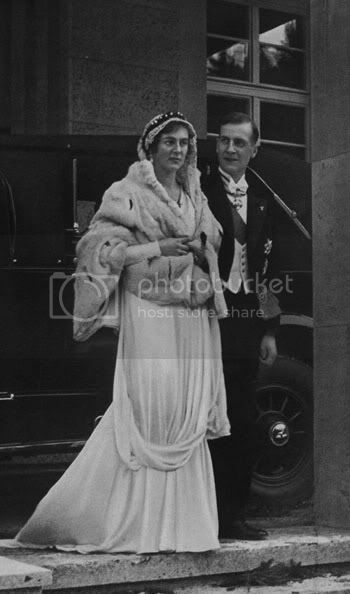 And here's Agathe's daughter Marianne in her wedding day with Prince Wilhelm of Hesse-Barchfeld, her husband. 1933 year.